1. John R. Starkweather, born in 1924, son of John and Katie Starkweather, entered the work in Montana in 1954, age 30. 2. E. Truitt Oyler, born in 1946, son of Enos and Bette Oyler, entered in the work in Montana around 1966, about age 21. His first companion was John Starkweather. 3. Walter J. Oyler, Truitt’s oldest brother, was born in 1940, entered the work in Montana in 1961, when he was about 20 years old. TRUIT AND WALTER OYLER: Truitt and Walter Oyler and John Starkweather all entered the work in their native state and were preaching in Montana under Overseer Tom Lyness. Tom was an Irishman who professed in Ireland in 1902, entered the work in 1903, and came to Canada in 1905. In 1915, Tom was the first Worker who began preaching in Montana where he stayed until his death in 1970, age 87 years. Tom and his sister Annie are buried in Manhattan, Montana and share the same tombstone. (View Tombstone) Upon Tom's death in 1970, the field of Montana and Northern Wyoming were combined with Oregon/ Southern Idaho under the responsibility of Howard Mooney. In 1967, when Truitt had been in the work about three years, he and his companion, John, were overheard discussing the scripture. They were unaware that sister Worker (possibly Blanche Curtis) was also in the house until she came into the room where they were. She was very upset and did not agree with their interpretation. From childhood on, these three men had sat in gospel missions held by early Workers, such as Tom Lyness, his sister Annie, Nellie Williams, Vernon Myers and others. According to reliable sources, Truitt asserted they heard the doctrine the sister worker questioned preached by Tom Lyness and other early workers et. al. and that what the three men taught was no different; i.e. that Jesus was divine and could not sin. On the other hand, the sister Worker believed Jesus was human just like she was. Many but not all Friends and Workers believe that Jesus could have sinned and lost his salvation, but was only able to live a sinless life by the power of the Holy Spirit and suffering, self denial and by cutting off sinful thoughts and lust in his mind. This sister Worker became very determined that Truitt, Walter and John would be put out of the work and she eventually succeeded. They were accused of believing and teaching “false doctrine” also called “divisive doctrine.” Their alleged beliefs came to be commonly known as “Truitt’s Doctrine,” but few knew exactly what that doctrine really entailed. Truitt’s Doctrine was reported to have been some or all of the following: that Jesus was divine, that Jesus could not be tempted to sin, that Jesus was God, the doctrine of “Original Sin” related to the doctrine of “The Fall,” and perhaps more. However, they did not hold some of these beliefs--they were rumors. Their beliefs will be discussed more fully below. Heb 4:15 "For we have not an high priest which cannot be touched with the feeling of our infirmities; but was in all points tempted like as we are, yet without sin...." All things were offered to his human nature but it was impossible for his divine nature to allow him to sin. Predicting the coming of Jesus--there are no maybes in Is 53. Luke 1:35: “And the angel answered and said unto her, The Holy Ghost shall come upon thee, and the power of the Highest shall overshadow thee: therefore also that holy thing which shall be born of thee shall be called the Son of God.” Mary’s child WOULD be holy from its conception—not maybe her son would be holy; not that He would have to work at being holy. 1 Cor. 11:3: “ the head of Christ is God.” These men do not believe that Jesus is God and never taught this. Matt 7:17-18: "Even so every good tree bringeth forth good fruit; but a corrupt tree bringeth forth evil fruit. A good tree cannot bring forth evil fruit, neither can a corrupt tree bring forth good fruit." Jesus was born entirely of the spirit -- the good tree – so it was impossible for Him to bear evil fruit. Mankind (as an outcome of the Fall and Original Sin) is born of the corrupt tree--impossible to bring forth good fruit UNTIL one is born again, grafted into the good tree, etc. Genesis 3:15: "And I will put enmity between thee and the woman, and between thy seed and her seed; it shall bruise thy head, and thou shalt bruise his heel..." There was no question that Jesus would overcome Satan. 1 John 3:9 " Whosoever is born of God doth not commit sin; for his seed remaineth in him: and he cannot sin, because he is born of God." NOTE: A list of scriptures compiled by Everett Swanson to counter Truitt’s Doctrine follows below. “Three or four of us young bucks happened to be included in a meeting in about 1967 in the house at Olympia, Washington Convention when a number of Workers met with the two Oyler boys and John Starkweather regarding their doctrinal understanding. 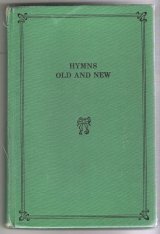 No hymns were sung, no prayers offered -- mainly statements of accusation and warnings against the two Oylers and John. ONE: It must be understood from the outset that the Friends and Workers do not teach or possibly even understand the orthodox Christian concept of the Fall. It all starts from there. Since these three did teach the Fall, they were at odds with the Friends and Workers right from the start. TWO: Accompanying the orthodox concept of the Fall is the orthodox teaching that Jesus assumed a pre-fall human nature that was perfect and sinless just as Adam was perfect and sinless before the Fall, and further, that given His person and nature as the Son of God he could not sin. This also put them at odds with the Friends and Workers. The Friends and Workers always misunderstood this. When they heard those men say that Jesus could not sin, they interpreted that as meaning he did not have a human nature. The only human nature the Friends ever knew about was a sinful one. Many could not grasp that the orthodox teaching was that the Pre-fall human nature of Adam was also sinless. About five years later in, perhaps in 1973, both John and Truitt signed letters agreeing not to teach their "divisive doctrine." John and Truitt were reinstated in the work and sent to other fields. Walter did not return to the work. John was sent to Texas in 1973 where Hubert Childers was the Overseer; and Truitt went to Alaska in 1974 where Bob Ingram was the Overseer. Both men were highly regarded in their new fields and were soon given more responsibility. John became Overseer of Louisiana in 1978 and then Overseer of Texas from 1983 to 1986. Truitt became a senior brother Worker in Alaska. "We were also disappointed to hear that there is a division in the ministry caused by a few of the Alaska Workers bringing into Washington the influence of the doctrine that Truitt has been teaching in Alaska. This type of division has previously been evident in other areas where Truitt has laboured. We had a long visit with Truitt in hope that he would see the damage that had been done. It has been decided that Truitt would go to Alberta with Willis Propp in hope that he could help him see where his doctrine has been in error" (Oct. 3, 1989 letter to Our dear Alaska Friends signed by Tharold Sylvester, Eldon Tenniswood, Ernest Nelson, Howard Mooney). 1. Out of consideration for the preservation of integrity and unity in the Ministry. 2. His doctrine which was privately taught creating division among the Saints and Workers in Montana, Washington, and Alaska. 3. Additional information obtained since the meeting in Seattle, October, 1989.
a. admonished by Fred Keller in Montana. b. three admonitions given at Manhattan, MT during 1965-66.
c. admonished by Willie Jamieson at Olympia, WA, circa 1967.
d. admonished by Tharold Sylvester in Washington prior to going to Alaska, 1974.
e. admonished by Jack Price in Alaska, Oct. 24, 1986. 5. Justifying both Robert Ingram and himself among Saints and Workers following the meeting in Seattle, Oct. 1989. 1. Accepting the decision of the Elders of the Ministry as just and final, and encouraging others to do the same. 2. Refraining from teaching his divisive doctrine while filling his position as a Saint. Failure to honor this would jeopardize his privilege of fellowship. 3. Being asked not to lead meeting. "Several of us on his staff, brothers and sisters alike, were very impressed with his life, administration and doctrine, and he made it so easy to discuss things that were real…the Spirit, sin, salvation, Christ, the plan of God, grace, faith, etc. I remember after several months of this, and after a long road trip and equally long visit with John, another young brother worker and I expressed to each other that we felt like we had just professed that day, so great was the illumination and our joy and thankfulness." "I can only think it was divine intervention that kept those men from removing John immediately. Those next six weeks are probably the most formative six weeks of my life." He and a couple other young Texas workers were "with John continuously for the next six weeks and I have wonderful bitter sweet memories of those last days. All was out in the open by now, and John's spirit was wonderful in spite of the way he was treated." The last Texas Special Meeting was at Nederland or Port Neches, and John S. and the young workers were all there. "I remember breaking down while I was supposed to be preaching, and John coming to me in the parking lot after the meeting, as he headed into exile in Louisiana and telling me that things would look brighter in the future." When John was expelled from the work six months later, this young Brother Worker was the first person he telephoned. After his dismissal, John moved to Albuquerque, New Mexico, and lived and worked with his loyal friend, Walter Oyler, who had established a business there. John and Walter were allowed full fellowship–so long as they lived in New Mexico. Sometime later they moved to Montana, where the only Meetings they were allowed to attend were Gospel Meetings. John went from being Overseer of Texas to working as a janitor in a public school. Workers in Texas and Louisiana (including Barry Barkley who was Eastern Overseer Taylor Wood’s right hand man) told John specifically that he was welcome to attend Meetings and take full part when he visited there. In Alaska and Montana, Truitt was allowed to attend Gospel Meetings but not Fellowship Meetings. After some years, both men were allowed to attend conventions. Everett Swanson, Overseer of Montana, began a purge of the Fellowship in Montana, the home state of Truitt, Walter and John. Everett excommunicated numerous Friends and families when they refused to renounce their belief in “Truitt’s Doctrine;” or refused to "Accept the decisions of the Elders of the Ministry as just and final." Reportedly, Everett Swanson travelled around Montana holding Gospel Meetings. His message was designed to counter the “false doctrine of others,” and emphasized the humanity of Christ, presenting Jesus as less than fully divine. The following list was compiled and distributed by Everett. Heb 2:9 "Jesus was made a little lower than the angels." If he were only divine he would definitely have been on a higher level. Heb. 2:10 He was made "perfect through sufferings". Jesus was not ready made. In Lk. 2:50 he "increased". In Heb. 5:8 he "learned obedience", vs 9 "being made perfect". This is proof of a human nature because a process was taking place. Heb. 2:16 "Seed of Abraham". Gen. 1:12. Seed can only produce after its kind. He had the identical nature of Abraham which was human. Human life has human nature. Heb. 2:17 "Wherefore it behooved (essential) him to be made like unto his brethren". If he isn't like us in human nature he failed because he said he would be as us and so it happened. Heb. 2:18 He "suffered being tempted". God cannot be tempted James 1:13 but Christ could. He suffered because of human desire, and in all things, 4:15. Heb. 5:7 He prayed for himself that he would be saved from the 2nd death and was heard because he feared. When he took the human nature he could have lost his salvation, so he wept and prayed. Phil. 2:8 "He humbled himself and became obedient". 1 Tim. 2:5 The "man" Jesus Christ. This word in the G reek means human nature. Jesus called himself the Son of man. Mt. 4:1 The spirit wanted Jesus to be tempted. Satan tried for 40 days. Both God and Satan knew Jesus could be defeated but he conquered. Rev. 3:21 Jesus overcame after a struggle and wants us to also. We also can overcome in the struggle. Reportedly, at the end of the meetings where he delivered this counter doctrine message, Everett would ask the Friends who agreed with him to stand to their feet. The majority did, and those who did not stand were disfellowshipped. At a Manhattan Convention held in the 1980's, Friends and Workers were asked to show which side they were on by standing to their feet during a meeting. Most of the Oyler relatives scattered across the state did not stand, and were excluded from fellowship. Some families were divided because some family members were married to Oylers. The Friends were forbidden to even talk to the Oyler family members. Afterwards, none of the Oyler families were allowed on the Manhattan Convention grounds. There are some undated notes of a sermon titled “The Nature of Jesus” by Dan Hilton which possibly circulated around this time in an attempt to quash Truitt’s Doctrine and re-educate those who had heard it. While the opening paragraph mentions Jesus having both a human and divine nature, Dan then expounds for three pages on the human nature of Jesus “who had the same human nature as we.” The last paragraph warns against being carried away by strong delusion. Unfortunately, Everett’s method of cleansing the church of said “false doctrine” caused much havoc and grief as families were divided and churches were split apart, and many rifts were created. Many will never forget that period in history when Everett shook the Family Tree of the Montana Fellowship. Everett did something else that greatly upset the friends and workers in February 1994. He abruptly cancelled the 1994 Ronan, Montana, Convention which was already printed on Pacific Coast Convention List to be held June 16-19, 1994 on the property of Reuben and Mary Hoversland. One story was that Everett thought the kitchen was too antiquated and the owner wouldnot agree to the upgrades Everett thought were necessary. Everett was angry and just closed it down. Another (untrue) story circulated that the State or County closed it down. However, a statement from Mary Hoversland indicated the Lake County sanitation inspector had come in February and everything passed inspection. Reportedly, Everett said with all the money and the cars of the Friends who had been attending that Convention, it should not be a problem for them to drive down to Manhattan. He did not take into account that Ronan is located in a farming community where many go home each night and sometimes even during the day to take care of chores. Manhattan is 240 miles (3.5 hours) from Ronan, and the other Montana Convention, Dagmar, is 615 miles away. Conventions at Ronan were resumed at least by 2010, perhaps earlier. In 2014, one of the Hoversland’s daughters and her husband built a home on the property and the facilities have since been remodeled and improved. "for the purpose of helping to search for some solution to the continued unrest and growing division among the workers and friends in the State. We did not come to hinder the efforts to handle the doctrine problem. We did not come to reconsider the Ronan issue. We do not wish to weaken but rather commend the standard Everett has upheld. We do not want in any way to underestimate the good he has done for Montana. Following our interviews with all the Montana workers and a cross section of the friends, we have considered all the solutions suggested. It is our conclusion that the following changes would be in the best interests of the Kingdom. We sincerely hope that these will help to restore unity. 1. We esteem Everett Swanson very highly for his willingness to join the British Columbia Staff and leave the way open for Jack Price to assume full responsibility over Montana, with the cooperation of Charles Preston. 2. Dale Shultz will take the place of Jack Price in Saskatchewan. 3. Jack Price will also assume responsibility over Wyoming, combining the Montana and Wyoming workers into one staff." Transfer details for other workers were also listed in the letter. Everett Swanson was demoted in 1995, and sent to preach in British Columbia, Canada. He’s shown on the 1995 B.C. List. Jack Price assumed full responsibility for Montana and Wyoming with the cooperation of Charles Preston. A few years later, Dean Bruer assumed the oversight of MT-WY. However, things were handled quite differently in Texas and Louisiana where John Starkweather had been in the work. There was no purge. 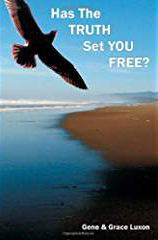 The Friends were left to sort out their doctrinal beliefs according to their conscience. Those who agreed with John's teaching were not penalized. A very few voluntarily left meetings in protest. The residual problems in Texas and Louisiana were minimal by comparison since the Workers did not force people to confess to one particular doctrine over another. Reportedly Wm. Lewis, an Overseer in Eastern USA, spoke with John and said. "I've talked to John and to be honest I guess I don't really know what the fuss is all about.’" On the other hand, Howard Mooney, Overseer of Oregon, et al, disagreed. “Truitt did not claim that Jesus did not have a human nature. What he claimed is that Jesus had a human nature, but it was a perfect, sinless human nature, not subject to sin. It was a nature which could be tempted in all points, yet would not sin. A former companion of John Starkweather’s recalls that John taught that Jesus was not like the rest of us. He was divine in the sense of not being born with the spirit of Cain, the evil seed, the corrupt tree, etc. He had humanity in the sense of having physical flesh and physical needs, but without sin; i.e. he had no lust, he had no inclination or longing for anything that was sinful--it simply was not in Him to have such desires. Humankind, on the other hand, by birth is entirely sinful and without the possibility of bearing good fruit, until being born again through Christ. Christians live their lives with both the evil nature and the godly nature, and experience the struggle between the two. As you may have heard, Willis (Propp) took me to Vancouver to talk with Ernest (Nelson) and Paul (Sharp). We had two days of discussion. There were at least 4 points of doctrine unanimously agreed on that Willis gave me permission to write to some of you. Jesus paid the redemption price in full. The death he died was in fulfillment of all the curse that the sinner was under. The length of time he was held in death was not necessarily determined. It is no issue to me as to the time he was held in the sinners’ death. I have said in past days that the 3 day period seems to satisfy more scripture than the time on the cross, but this point is of no issue to me. Of importance to me is the redeemer pay in full and in the likeness as of any sinner so charged. Some reasons given for why the Workers had a problem with “Truitt’s Doctrine.” One concern expressed was that this view could lead to unmitigated sin amongst the Friends. The belief that Jesus could not sin stands in stark contrast to the teaching that if we only try hard enough, pray hard enough, etc., we too can overcome our flesh just as Jesus did. 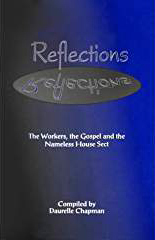 Workers view the doctrine as dangerous because ultimately, it places the emphasis on Grace, leaving no room for Works as a means to salvation. The Workers reject the idea of Original Sin, claiming that it would have required God to change His mind and send Jesus as an afterthought, not according to His original plan. BOB INGRAM: Montana wasn’t the only place where there was a major disturbance in the church. Things exploded in Alaska also, with substantial carnage and a new issue involving Bob Ingram. Bob Ingram was born in 1920, in Oakland, California and died on January 18, 2015 in Anchorage, Alaska. Bob entered the work in 1946, and labored in California, Idaho, Washington; and in Alaska from 1965 until 1989 when he was put out of the work. Bob had been the head Worker over Alaska since 1965. Previously, John Friesen and John Porterfield (1957–1964) had the oversight of Alaska, which was under the jurisdiction of the Overseer of Washington who was Malcolm Graham and in 1965-66 Tharold Sylvester. When Tharold was up in years, “a rumor had been passed around that Robert would be having responsibility over Washington,” which would mean that in addition to Alaska, Bob would be Overseer of the work in Washington and Northern Idaho. Some sister workers were opposed to Bob being in authority over them. Bob Ingram was also a subject of the meeting/s held in October, 1989, in Seattle Washington. According to a sister worker ​who had been violated by Robert Ingram, she was the only sister worker present at this meeting with Bob and the 8 men in administrative positions who dealt with the allegations. Bob was asked to step aside from the ministry and a statement providing the reasons, signed by the Overseers is copied below. Following the "stepping aside from the ministry" of Bob and Truitt, at least two Elders Meetings were held in Alaska. One was held in Juneau. "It was quite an expense for most, to come as they had to fly there...It softened my spirit, and as Bob said in his testimony (he came into the mtg. only at the last) it took 'all the fight out of me.' (Oct 17, 1989 Letter by Darlene Cheek to Dear Alaskans). Another Elders Meeting was held in Anchorage on October 14, 1989. A sister Worker wrote: "It was outstanding because of the effort and expense put forth by men and their wives to be there from all corners of SE Alaska...There are still so many unanswered questions." (October 16, 1989 Letter by Judy Dudley to Ron) Unlike the meeting in Juneau, at this meeting, Bob defended himself with the information there had been no consummation of the relationships. Bob’s justification of himself was listed as the No. 4 reason Bob was told he must “step aside from the ministry.” See statement below. 2. Moral misconduct involving a number of young sister Workers primarily while responsible as overseer of Alaska. 3. Failing to consult senior Workers to have this matter resolved. 4. Justifying both Truitt Oyler and himself among Saints and Workers following the Seattle meeting of October, 1989. 5. Additional information obtained since the meeting in Seattle, October, 1989. 6. Failing to counteract Truitt Oyler's doctrine which was taught in Alaska. 1. Accepting the decision of the Elders of the Ministry as just and final and encouraging others to do the same. 2. Refraining from supporting Truitt Oyler's divisive doctrine while filling his position as a Saint. Failure to honor this would jeopardize his privilege of fellowship. 3. Being asked not to lead meetings. The four Western North American Overseers wrote the following letter of explanation regarding the removal of Bob and Truitt and it was distributed to the Alaskan Friends. We know that you would be somewhat bewildered over the change in Robert Ingram's status, and why such action was necessary. A few years ago, three of the young sisters who now labor in the Orient, mentioned that Robert had taken too many liberties with them, and they were crushed as a result. When they confronted Robert with this, he apologized, and said it would never happen again, because he had prayed like Jacob prayed that night, and kept on praying until God took away all desire from him, so that he would have no trouble from now on. When Sydney Holt and Jack Price were at the Olympia convention this year, a number of the young sister Workers came to them. A rumor had been passed around that Robert would be having responsibility over Washington. They were quite distressed over it. One of them said, "If Robert has responsibility over the State, I will either have to give up the work or go to another State, as I couldn't work under him." Several of them went into details to explain to Sydney and Jack just what they had previously been subjected to themselves, and of the embarrassment and heartache that had been caused. We were also disappointed to hear that there is a division in the ministry caused by a few of the Alaska Workers bringing into Washington the influence of the doctrine that Truitt has been teaching in Alaska. This type of division has previously been evident in other areas where Truitt has laboured. We had a long visit with Truitt in hope that he would see the damage that had been done. It has been decided that Truitt would go to Alberta with Willis Propp in hope that he could help him see where his doctrine has been in error. The purpose of the meeting in Seattle was to see if something could be done to salvage the situation. We all felt that the only solution would be to bring in a new overseer for Alaska. One that everyone would have confidence in and would be inspired by His care. We hate to see situations like this arise in a kingdom as wonderful as the Kingdom of God, but there were problems in Bible days, and the Lord's people rose above it, and we have every reason to believe they will overcome this, and go on to enjoy a true hearty fellowship with God and with each other. I am sure if any of you wanted more details, either Sydney or Jack would be able to furnish them for you. Our prayers are with you and we wish the best for the future of Alaska. Bob followed the Conditions for Fellowship and assumed the role of a Friend. After he left the work, one of the Friends provided him with a garage apartment and workshop in Fairbanks where he lived until 2011 when he moved to Pioneer Home. The Friends supported him financially. Many Alaska Friends were quite fond of both Bob and Truitt. He attended and participated fully in meetings until his death. Following is an Alaska resident’s firsthand personal view of the Alaska situation as regards the removal of the Workers Bob Ingram and Truitt Oyler. “The state was in an uproar. 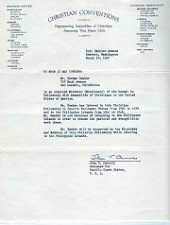 The elders, having received a cold informal letter stating the removal of Bob and Truitt, did not appreciate not only the spirit of the letter, but that their input had not been considered. “Elders from all over the state gathered for a meeting with the likes of Jack Price, Sydney Holt, Willis Propp, Paul Sharp, Eldon Tenniswood and others…There were many public meetings, emotions ran high, and true colors were revealed. “The ugliness of it all was a real shock to many and impossible to ignore. Almost over night we lost respect for Workers. Even Workers we were close to put the church before truth through honest communication. 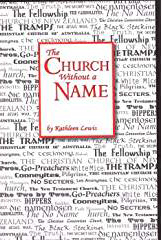 In the minds of some Workers as well as some Friends, for the sake of holding the church together, ‘lives had to be sacrificed.’ It was organized religion at its worst. “A number of other overseers tried to intercede, most notably Sydney Holt, but to no avail. A number of longtime Montana Workers were moved out of state ( Alaska) because of their objections to the methods used. John’s sister Mary Starkweather was also dismissed from the work. There was a lot of confusion and commotion. “Many of the Workers in Alaska were scattered and sent to different states and Canada. Many Workers were indoctrinated to believe that any deviation from their Overseer's statements of belief and doctrine were ‘of Satan and unworthy even of consideration.’ The younger ones knew their place as a Worker would be forfeited if they disagreed with those who ‘ruled over’ them. Workers who stood up for Truitt and Bob Ingram were excommunicated also. For those who stood up for Truitt or Bob it was made clear that they would be asked to leave. Many of the Alaska staff were put on probation which lasted differing lengths of time depending on the head Workers. “All Alaska Workers were under suspicion at that time and within a year they were dispersed to other states. Judy Dudley was sent to Alberta where, after a question/answer grilling from Willis Propp, she was put out of the work. She later married Truitt Oyler. Others were sent home to "rest." One never returned to the work (her choice). Several were sent to Washington state. One was sent to Colorado. “Things did not quiet down very soon. A year later there were still problems between many of the Friends and Workers. The powers that be brought in more VIP to win the people over. Leslie White came to Alaska and initially many viewed him as the Great White Hope, the one who could help make things right. We quickly saw how weak and ineffective he really was. “At least ten meetings were taken out of homes. The last meeting was removed from a couples’ home because they agreed that Christ could not have sinned. In time division among the Friends came about. A "troublemakers" meeting was created in Anchorage for some who had openly protested how things had been conducted. The only reason people were not "put out" was because the numbers were too great and there were some very influential Friends with strong connections in other states. To put out everyone that did not support the behavior of the Workers would have had a devastating and far reaching domino effect. The whole Alaska experience was the beginning of many of the Friends re-examining just what it was they were a part of. The Alaska branch of the Church is not the church it was a dozen years ago. There is a lot of apathy." We have just been made aware of the message sent to Alaska. Something seems to have gone terribly amiss. Even if the charges against Bob Ingram were of a current nature, occurring say within the last year or so, where is the spirit of Noah's sons when his nakedness was uncovered? What about when there is no talebearer the fire goes out? Why a letter so widely disseminated? Why was the man not judged by his work for the work's sake? Who was so righteous they could cast the first stone rather than help and support a brother in distress? We are dumbfounded! Under Bob and Truitt the work has prospered in Alaska these last years as evidenced by the many young workers which have gone forth from Alaska, as evidenced by the peace and harmony in this whole State. Is everything perfect and all prospering? No, we still have many human problems: doesn't everyone? Truitt has been a pillar and a mainstay for our young people and a strong right hand whether Bob was here or absent. Imagine yourselves in the position of these men. In one fell swoop you are destroying much of the forty years of this man's (Bob's) lifetime. God knows whether his work was in God's name or not, whether there were any unforgivable human failures, what is in his heart now, etc. In approximately ten years or less all of you will answer directly to God. Is not patience and forgiveness indicated? We understand your grave responsibilities in overseeing the Kingdom, we hope that much soul searching and prayer goes into every decision. We respectfully and tearfully plead that Bob be given another chance. Truitt will prosper and prove himself wherever he is sent. It will be a hard thing to re-think this situation and reverse decisions: but for our's and the Kingdom's sake, please do. PS: I wrote this letter many, many days ago. I did not mail it because I wanted to be certain it was not written in either haste or anger. Since then I have first hand witnessed the 100% unanimity and love in this State. History of Bob and Truitt’s labor in Alaska: Bob went to preach in Alaska in 1965-66, where he was the Overseer. In 1972 there were 2 brother Workers and 4 sisters on the AK staff. Truitt was sent to Alaska in 1974-75. Bob and Truitt were the only 2 brothers in Alaska through 1976. Beginning 1977, more brother and sister Workers were added to the staff. By 1980 there were a total of 10 Workers in the state; 4 brothers and 6 sisters, and this number continued up until 1989 with Bob and Truitt being the two senior brother Workers since 1974. ALASKA: Sydney Holt replaced Bob in Alaska in 1989 when Bob was dismissed from the work. Syd died suddenly on August 3, 2002, at age 75.5 yrs. Mark Huddle replaced Syd. Tharold Sylvester died January 5, 1994. MONTANA: Everett Swanson was demoted in 1995 and sent to preach in British Columbia, Canada. Jack Price assumed full responsibility for Montana and Wyoming with the cooperation of Charles Preston. Charles R. Preston passsed away April 30, 2001, age 102 and is buried in Missoula Cemetery in Missoula, MT. View his tombstone. A few years later, Dean Bruer assumed the oversight of MT-WY and remains so in 2015. Everett is still living (in 2015). Truitt Oyler married Judy A. Dudley, an ex-sister Worker who was expelled from the work around 1991. They reside in Alaska, where Judy has full part in meetings and Truitt is allowed to attend gospel meetings and convention. Bob remained actively professing after he left the work, and lived in Fairbanks until his death in January 18, 2015. Blanche Curtis died August 17 or 27?, 2003, age 92. Lloyd Ermil Wilson passed away in December 6, 1998, age 93, and is buried in Chugwater, Wyoming. View tombstone: "He Stood for Truth." John Badertscher left the work, married divorcee Pam (Potter) Hill and lives in East Texas. Truitt and Judy Oyler relocated to Northeast Colorado around 2016 and are allowed to have full participation in meetings. When John Starkweather was no longer able to live by himself, he moved to Colorado, where he was allowed to participate in meetings during the last few weeks of his life. He passed away on April 27, 2017. May 2, 2017, Billing, Montana Gazette: STERLING , Colo. � John Starkweather, 92, of Sterling, Colorado, formerly of Hardin, died April 27, 2017. Graveside services at 1 p.m., Thursday, in the Hardin Fairview Cemetery. Bullis Mortuary has been entrusted with the arrangements. Authors Note: Truitt Oyler and John Starkweather were both provided with the draft of the above Account and given opportunity to review it and make corrections and suggestions before it was posted on TTT, and neither responded.